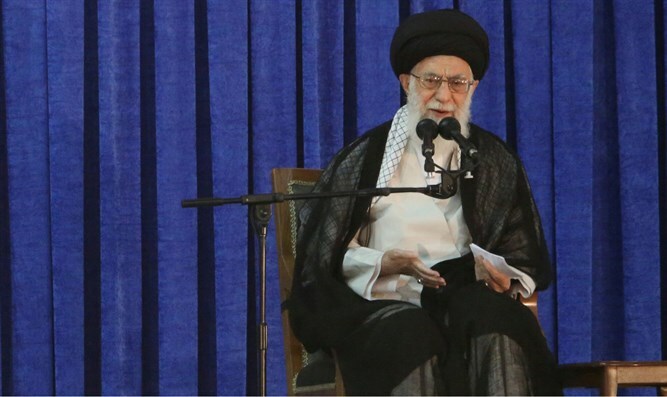 Iran’s Supreme Leader claims the country successfully resisted the US sanctions. Iran’s Supreme Leader, Ayatollah Ali Khamenei, declared on Wednesday night that the Islamic Republic successfully resisted “unprecedented, strong” US sanctions, Reuters reported. Khamenei’s comments were made in a speech broadcast on state TV in honor of Iran’s new year. The Supreme Leader also said that economic hardship and the fall of the currency remain top problems and that the government should confront these issues by boosting production. Earlier on Wednesday, Iran’s Foreign Minister, Mohammad Javad Zarif, said that Iran will expand its ties with nations equally tired of “bullying” by the United States, calling the US sanctions “unprecedented, inhumane and illegal”. Germany, France and Britain, which did not agree with Trump’s decision to leave the deal, have been scrambling to prevent a collapse of the agreement. Khamenei has continuously lashed out at the US. Last month, he indicated that the slogan “Death to America”, which Iranians regularly shout at rallies, is directed at Trump and US leaders, and not the American nation. Earlier in the year, the Supreme Leader lambasted US officials' approach to Iran as irrational, describing them as “first-class idiots."